If you have not already done so, download Revoice Pro from here and install it on your computer. Revoice Pro for Windows works with Vista (with Service Pack 2), Windows 7 and 8. Double click the mounted disk image to open it (unless it opens automatically), and drag the Revoice Pro.app (application) to your Applications folder or other preferred destination. Double click the Plug-ins.pkg to install the Revoice Pro Link plug-ins for DAWs. You can install all the above, or customize the installation to only install the plug-ins for your preferred Digital Audio Workstations. Intel Mac with OS X 10.6 or higher. Revoice Pro can run in a Trial Mode but it will require an iLok license which you can obtain from the Synchro Arts website. Once you have obtained and installed the Trial license as described below, Revoice Pro will run in a fully functional demonstration mode for the number of days shown when you open it. Revoice Pro licenses will authorize both Mac and Windows versions. If you already have a Revoice Pro license installed on an iLok Smart Key that is plugged into the computer running Revoice Pro, you can skip the rest of this section on authorization. Revoice Pro uses the iLok system described on www.iLok.com for authorization. 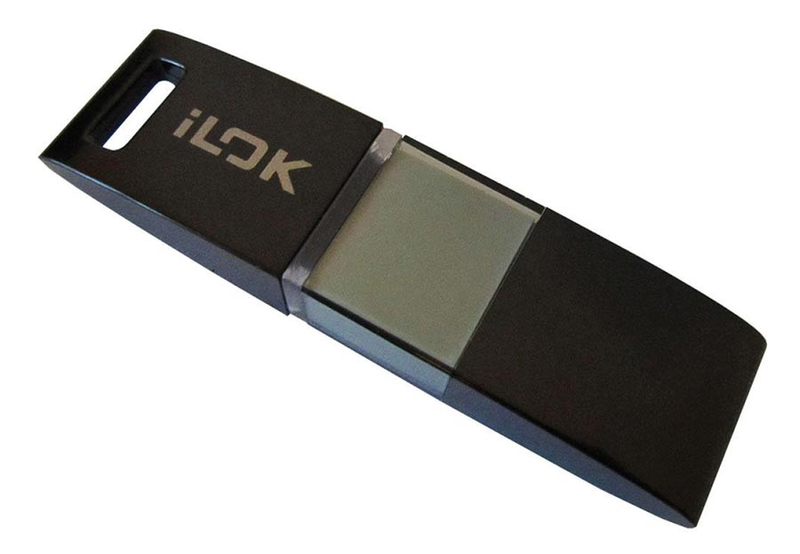 Obtain an iLok USB "smart Key" (pictured below) from iLok.com or your pro-audio dealer. Go to www.iLok.com, download and install the new iLok License Manager on your computer. If you have a License in your iLok.com account, the License Manger will display it and let you drag it to your iLok smart key. This is NOT a licence but an Activation Code that you can redeem in the iLok License Manager to obtain your licence. Open the 'Redeem Activation Code' window in the iLok License Manager. Enter your Activation Code as instructed. Drag the License to your iLok Smart Key. iLok Keys can hold licenses for a number of protected software products. You can have licenses from Synchro Arts and other software vendors on the same iLok. If you followed the above procedures correctly, and the iLok Key with the relevant license is inserted in the computer running Revoice Pro, it should run in an authorized mode by simply launching Revoice Pro. If you subsequently try to run Revoice Pro without the iLok inserted into your computer you will receive a warning message. Follow the instructions in the warning to reauthorize the software. WARNING: Do not remove the iLok from your computer while you are using Revoice Pro. If the iLok is removed Revoice Pro will allow you to save your session and then close. For further information on iLok, go to www.iLok.com.